Make your weapons visible on your character including mods without any extra manipulations. The vanilla favorite system doesn't work with this mod. It lead to unworking weapons then CTD. 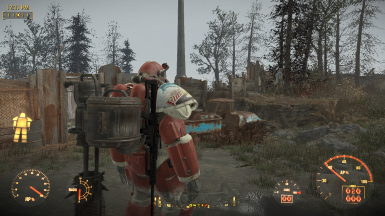 Use the Fo4 Hotkeys mod instead to use a working favorite system. Meshes directory: Don't let the custom skeleton be overwritten. It contains all new required bones to work properly. Simply jump or draw your weapon. Visible weapons are deleted when you fast travel, load door or use moveto function. This is normal because I made it like this until I found a fix. 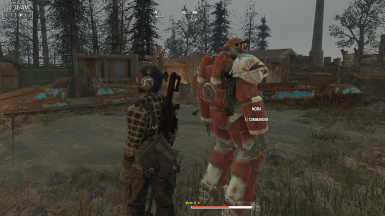 Add a new motorcycle to the Commonwealth to ride with your companion ! Add a tones of separated clothing and accessories ! Add Jackets and Coats to wear on top of outfits !